Breach of warranty in M&Adeals - should damages be determined with reference to a valuation multiple? The law of damages in relation to a breach of contract is aimed at putting the aggrieved party in the position they would have been in if the contract had been properly performed by the other party. In a M&A transaction, quantifying those damages can become fairly nuanced, especially when: (i) the breach relates to a warranty of the target’s financial statements; and (ii) the purchase consideration was determined with reference to those financial statements. In the context of a breach of a warranty in a share sale transaction, an aggrieved purchaser is generally entitled to damages in the form of the ‘adverse difference’ between the contract price (ie the price paid for the shares based on the relevant warranty) and the actual/market price of the shares (having regard for the warranty being untrue) (Katzenellengbogen Ltd v Mullin 1977 (4) SA 855 (A)). By way of example, consider the following scenario: (i) a seller breaches a warranty pertaining to the target’s financial statements; (ii) the breach takes the form of an understatement of expenses by R5 million; and (iii) the warranties given to the purchaser by the seller are backed by an indemnity for damages suffered as a result of a breach of a warranty (which indemnity is typical in M&A transactions). In this example, a conventional claim for the ‘adverse difference’ would generally be for an amount of R5 million, ie the purchaser would have a Rand for Rand claim against the seller equal to the understatement of the expenses. The above example gets more complex where the underlying purchase consideration is determined with reference to a multiple of earnings or profit (eg EBITDA). Using the above example, if the purchase consideration was determined with reference to, for instance, a 5x multiple of EBITDA, the target’s EBITDA would be overstated by R5 million. However, when one takes into account the multiple, the purchaser would have overpaid for the shares by R25 million. Almost all purchasers would contend that this larger amount constitutes the ‘adverse difference’ and the resultant damages that it should be entitled to claim. (ii) ‘regard should be had to the particular circumstances of each case in order to determine which measure is to be employed in quantifying a plaintiff’s patrimonial loss caused by a defendant’s delict or breach of contract’. These principles at least leave the door open to an aggrieved purchaser to make a case for why a multiple used to determine the purchase consideration should also be utilised to determine the ‘adverse difference’ in scenarios such as those illustrated by the earlier example. 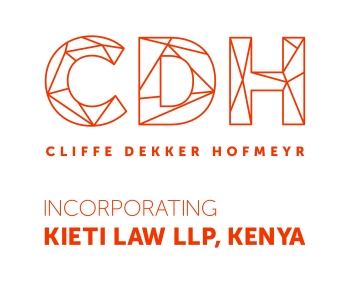 Aside from the law developed by the courts, the prudent approach in these instances would be for parties to include clear provisions in the underlying transaction agreement in relation to the application (or non-application) of a valuation multiple in quantifying damages. This would demonstrate to a court the parties consensus on this point and, importantly, that damages quantified in this manner ‘flow naturally and generally’ from the breach, which is a fundamental requirement for establishing contractual damages. The inclusion of these types of provisions in transaction agreements is prevalent in the US and UK with certain commentators noting that these provisions are often heavily negotiated. It would seem likely that the South African M&A market will soon follow suit in this regard.